Somer’s life is everything sheimagined it would be—she’s newly married and has started her career as a physician in SanFrancisco—until she makes the devastating discovery she never will be able to have children. The same year in India, a poor mother makes the heartbreaking choice to save her newborn daughter’s life by giving her away. It is a decision that will haunt Kavita for the rest of her life, and cause a ripple effect that travels across the world and back again. Asha, adopted out of a Mumbai orphanage, is the child that binds the destinies of these two women. 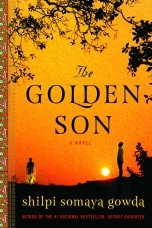 We follow both families, invisibly connected until Asha’s journey of self-discovery leads her back to India. 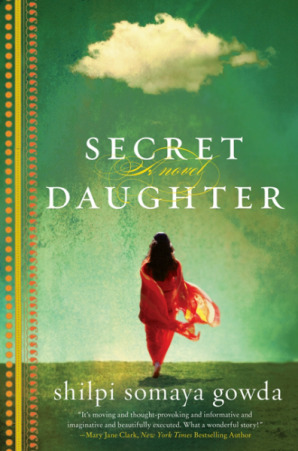 Compulsively readable and deeply touching, Secret Daughter is a story of the unforeseen ways in which our choices and families affect our lives, and the indelible power of love in all its many forms. Shilpi Somaya Gowda was born and raised in Toronto, Canada. Her previous novels, Secret Daughter and The Golden Son became international bestsellers, selling over one million copies worldwide. 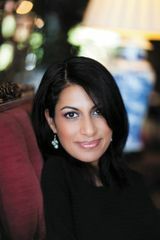 She holds an MBA from Stanford University and a Bachelor’s Degree in Economics from the University of North Carolina at Chapel Hill, where she was a Morehead-Cain scholar. She lives in California with her husband and children.